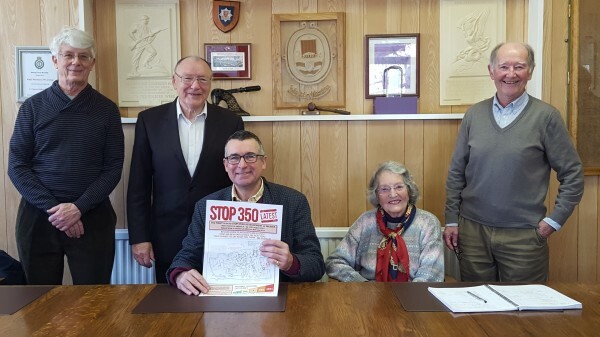 STOP 350 has met on several occasions with Rt.Hon Bernard Jenkin MP. 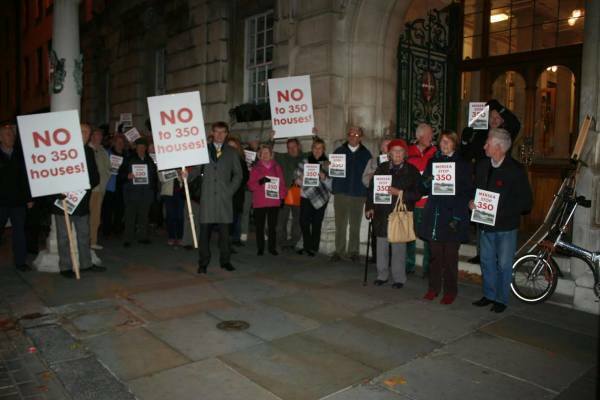 STOP 350 was at the Planning Inspector six day hearing in May 2018 and later that year both on Part 1 of the Local Plan. We have made representations at every stage; produced 4 leaflets to inform Mersea residents; engaged a specialist solicitor in town planning; raised money to help fund representation before a Government appointed Inspector (likely to be in Spring 2018). Using the FREEDOM OF INFORMATION ACT (2000) to find out what has been said by Anglian Water, the NHS, the Highways Agency, Essex County Council re: West Mersea School, Eletricity suppliers and other healthcare related services that makes CBC assert this is a 'sustainable' location for more houses. Nearly 600 objections regarding Mersea were regisetered by Colchester Borough Council. There would have been many more but for a website that was unfathomable! After our complaint they said they would try and improve it this time. Many of you have delievered leaflets, been to local meetings to spread the word, put up placards. A GREAT thank you! It shows major concern about the future of the island. 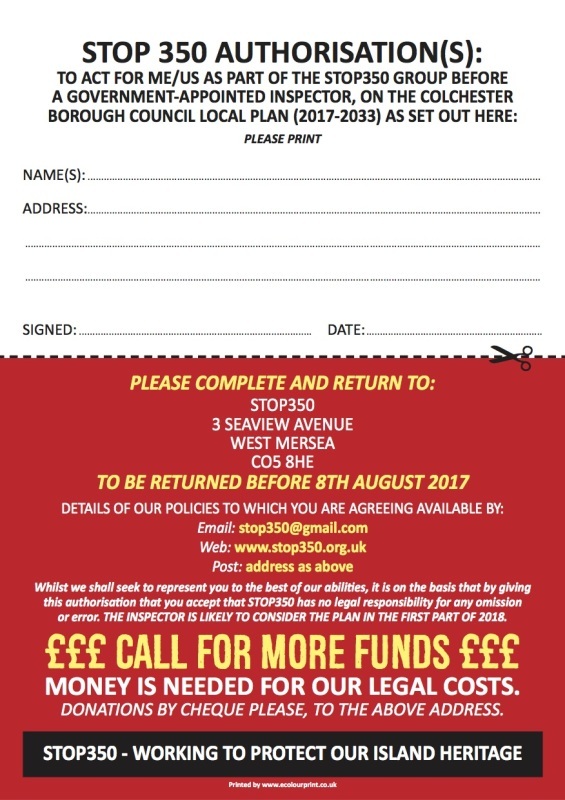 CLICK the leaflet to the left, print out, sign and get back to us to give us authorisation to reprsent you. Contact us and ask for a placard to put up in your front garden. Donate money, make sure you are registered with us (even if you did manage to do the online thing at the council's website), help someone else register. Download a poster and display it in your car or window at home. Go mad have one in both. Click here.​ Contact us for a placard to put up outside your house. Take a look at the Support Us page to find out more.